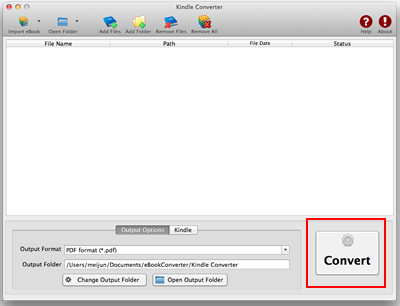 Kindle Converter Mac easily convert amazon Kindle DRM / noDRM ebook to PDF ePub Word Text formats. user can view purchased ebook on other computer or device, user also can print Kindle ebook without DRM limitation, it support Kindle DRM file downloaded in Kindle for Mac and nodrm mobi files, convert to PDF ePUB Word Text Html format file with 1-click, read your purchased Kindle ebooks in any device. support Kindle DRM/Nodrm ebook downloaded from Kindle for Mac. 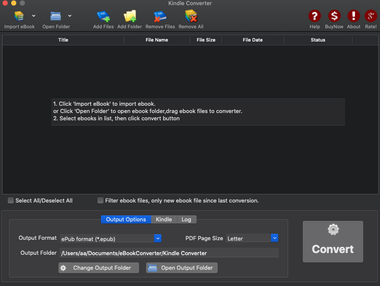 How to Convert AZW to PDF ePub Word format? 1). 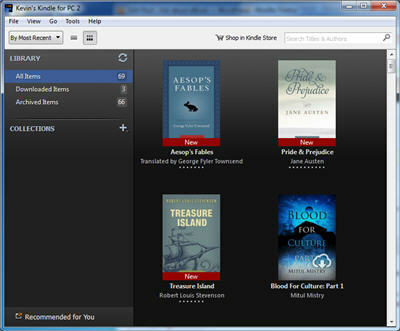 User should download and install amazon free app Kindle for Mac, free download here. 2). Download ebook in Kindle for Mac. 3). Download and install Kindle Converter Mac. 4). Click Import eBook button to add kindle ebook files into converter, select output format in “ouput” section. 5). Click Convert button to start conversion, it take a while to finish job. 6). Wait until job finished, new file in output folder will show up. Amazon released a Kindle for Mac app, syncs your Amazon e-book downloads and shows them on your Mac computer for convenient reading either when you’re away from your svelte e-book reader or if you chose not to buy it in the first place.